Arguably Norwich City’s most famous Cup run came in 1959 when the club battled through a series of giant-killing exploits to reach the semi-finals of the FA Cup. 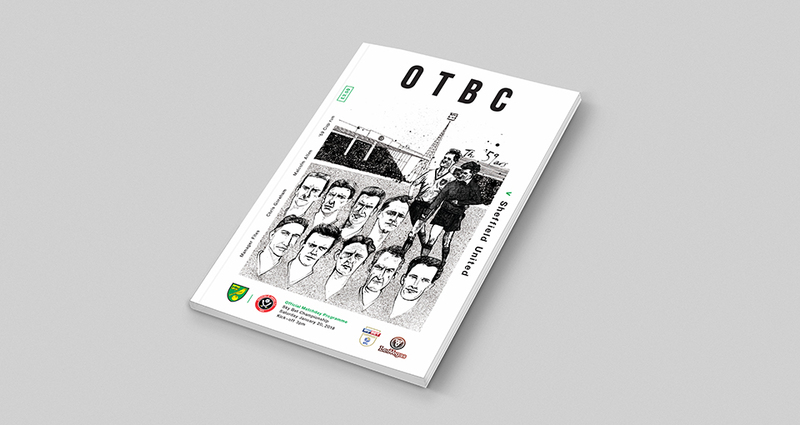 Along the way, Norwich beat Sheffield United in the quarter-finals and this previous encounter between the Canaries and the Blades is the subject of our latest OTBC programme cover. The cover artwork is by local artist Jim Goreham who has created a black and white illustration featuring individual drawings of the Norwich City players from the ‘59 cup run. 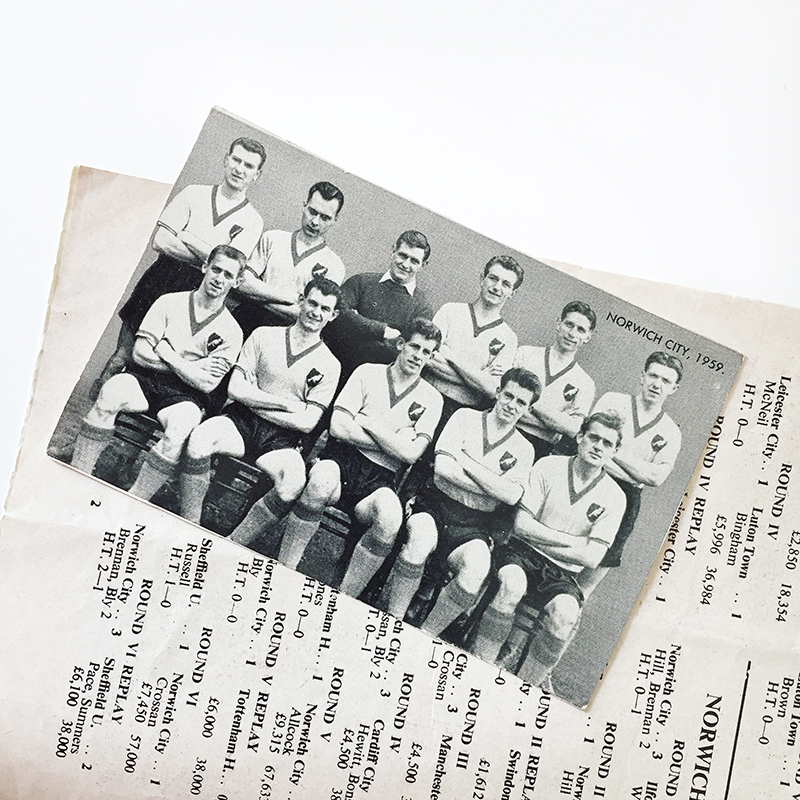 The piece also focuses on the story of Ken Nethercott dislocating his shoulder in the original quarter-final tie against Sheffield United. Despite the injury, the Canaries goalkeeper bravely carried on for 30 minutes before being heroically led off by Barry Butler. 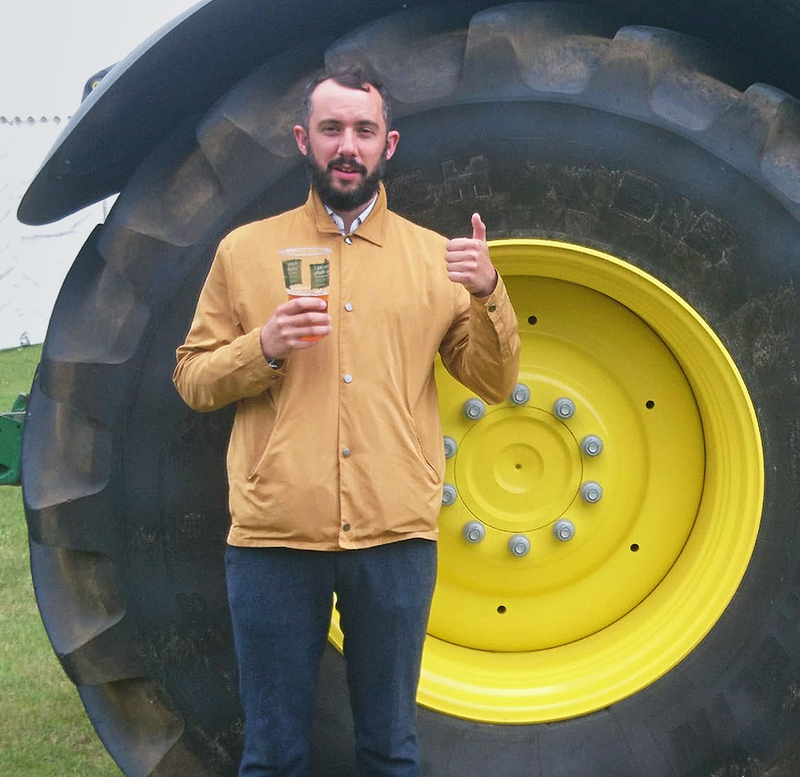 "I try to draw in a way that captures the essence of such greats as Ralph Steadman, Neal Fox and Vic Reeves. I would love to illustrate for a living and one day I will. Much like my beloved Canaries I have a strong foundation of people who believe in me, a healthy local fan base and plenty of desire. I just need to find a bit of consistency... and a bit more money. I'm so pleased I got to draw the '59ers for my cover. The story of that Cup run is such a big part of our club's history and hearing my grandparents reminisce about those days is something I miss but makes me appreciate the intimate, family nature of our fine club. OTBC!"